Background/Purpose: Open-label studies have suggested the efficacy of canakinumab (CAN), a fully human, highly specific anti-IL-1β neutralizing monoclonal antibody, in colchicine-resistant-FMF (crFMF), hyper-immunoglobulin (Ig) D syndrome/mevalonate kinase deficiency (HIDS/MKD), and tumour necrosis factor (TNF) receptor-associated periodic syndrome (TRAPS).1-3 We report the efficacy and safety of CAN from the randomized treatment epoch of the Phase 3 pivotal study in patients (pts) with crFMF, HIDS/MKD or TRAPS. Methods: The study (NCT02059291) consists of 3 disease cohorts (crFMF, HIDS /MKD and TRAPS) and 4 study epochs: a screening epoch (E1) of up to 12 wks, a randomized treatment epoch (E2) of 16 wks, a randomized withdrawal epoch (E3) of 24 wks and an open-label treatment epoch (E4) of 72 wks. Pts (aged ≥2 years) with a flare during E1were randomized (1:1) in E2 to receive CAN or placebo (PBO). Primary objective was to demonstrate that CAN 150 mg (or 2 mg/kg for pts ≤40 kg) sc q4w is superior to PBO. Safety assessments included adverse events (AEs) and serious AEs(SAEs). Results: Of 181 pts (crFMF, n=63; HIDS/MKD, n=72; TRAPS, n=46) randomized in E2, 6 discontinued the study (5 PBO; 1 CAN). In all 3 disease cohorts, the proportion of responders for the primary outcome at Wk 16 was significantly higher with CAN vs PBO. At Wk 16, a significantly higher proportion of pts achieved a physician’s global assessment (PGA) score <2, C-reactive protein (CRP) ≤10 mg/L and serum amyloid A (SAA) ≤10 mg/L in the CAN group vs PBO in all 3 cohorts. The most frequently affected system organ class across 3 cohorts was infections and infestations typically involving the upper respiratory tract. The incidence of SAEs was 8.6%, 4.7% and 11.8% in crFMF, TRAPS and HIDS/MKD cohorts, respectively. Conclusion: These results demonstrated superior efficacy of canakinumab after a 16-week treatment period compared with placebo. The overall safety profile was not distinct from those reported in previous controlled studies. 1. Brik R, et al. Ann Rheum Dis. 2013;72:75. 2. Arostegui J, et al. Ann Rheum Dis. 2015;74:401. 3. Lachmann H, et al. Ann Rheum Dis.2015;74:852. Disclosure: F. De Benedetti, 2; J. Anton, 2,5; E. Ben-Chetrit, 5; I. Calvo, 2,8; J. Frenkel, 2; M. Gattorno, 2,5; H. M. Hoffman, 5,8; O. Kasapcopur, 8; I. Koné-Paut, 2,8; H. Lachmann, 5,8; M. Moutschen, None; S. Ozen, 8; P. Quartier, 2,5,8; A. Simon, 2,5; A. Zeft, 1,5; K. Lheritier, 1,3; A. Speziale, 3; G. Junge, 3. De Benedetti F, Anton J, Ben-Chetrit E, Calvo I, Frenkel J, Gattorno M, Hoffman HM, Kasapcopur O, Koné-Paut I, Lachmann H, Moutschen M, Ozen S, Quartier P, Simon A, Zeft A, Lheritier K, Speziale A, Junge G. Efficacy and Safety of Canakinumab in Patients with Periodic Fever Syndromes (Colchicine-Resistant FMF, HIDS/MKD and TRAPS): Results from a Phase 3, Pivotal, Umbrella Trial [abstract]. Arthritis Rheumatol. 2017; 69 (suppl 4). 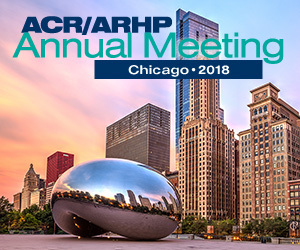 https://acrabstracts.org/abstract/efficacy-and-safety-of-canakinumab-in-patients-with-periodic-fever-syndromes-colchicine-resistant-fmf-hidsmkd-and-traps-results-from-a-phase-3-pivotal-umbrella-trial-2/. Accessed April 18, 2019.